Arguably their scouting has had to be successful, as on their budget they are unable to do it any other way. If they weren't good at unearthing gems they'd likely be back in League One. They certainly don't have the facilities, academy or finances available that we have. We could try to emulate their approach but it seems, given our business in recent years, that we don't want to do that. Given where we were last season and the season before I'm happy to be rubbing shoulders with them in mid-table, though my aim for the remaining 2 games would be to get above them and get into the top half and hope the manager does too. Moving forward now we have survived we need to be getting above them. Given our annual losses at the last count were £10 million a year more than theirs and we've spent heavily on Brereton and Armstrong, I don't think it is arrogant or wrong to expect us to climb above them. I'll be disappointed if we don't given the above. If we want to compete with them then we should get our losses down to less than £10 million a year like theirs are, give up the academy and get our wage bill and transfer budget down to their level. Then we'd have to follow their route and unearth gems but we might struggle to do it as successfully as they have. If lessons have been learned this season, I'm happy for Mowbray to carry on. Then again, I remember saying the same thing about Bowyer at the end of 13/14. Sometimes I wonder if both managers are more progressive and attack-minded when there's nothing to play for. The moment it looks like the team could mount a promotion charge it's 'backs to the walls sh*t your pants time'. Williams says that centre half is his position too. But I think anyone that has been properly schooled in defending at all would look decent next to the immense Lenihan in the last few games. Not sure whether I include Mulgrew or Rodwell in that statement... so a new centre half is still a priority for me. We know what TM is like with blind loyalty so if he feels Williams is the man he'll be no 1 partner to Darragh or more likely no 3 behind his favoured 1&2 DL and Charlie buoy. I'm not comfortable with that despite Williams new found status I think we need a starter capable dyed in the wool centre half otherwise again you are looking at 3 guys there who've all been converted to CH when we hit a bad patch and the anger starts and their back up will probably another converted player. Preston's scouting and recruitment on a limited budget has been very successful over recent seasons. It's one thing we are sorely lacking and need to sort out as a priority. 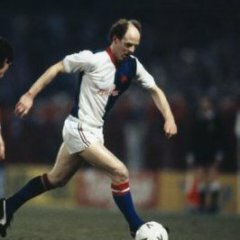 I think we should pimp Mulgrew to Celtic or someone in the summer and bring in a commanding centre-back. That would give us him, Lenihan, Williams, and bring through Wharton/Magloire. Slunk off apologetically was the description I think, probably expecting some stick so not surprising. I'd be quite comfortable going into next season with Lenihan and Del at centre half. Williams is a dogger full back but at centre half he looks a different player, mainly because he's not asked to do more than just defend. All I've wanted our defenders to do all season is win their individual battles and do the basics which he and Lenihan do. That said, if there was an obvious signing we could make that is simply better than him then I'd be all for it and we definatley need more depth there. Personally I see Bauer being our only defensive signing. Don't be sensitive. I called him the new Rooney. And not the one at Salford. May be wrong but I don’t recall Bolton applauding their travelling support at the end, not that I blame them mind? Hmmm. I think Bowyer did a brilliant job with us. I have more respect for him than anyone at the club since Venkys took over for his work in keeping us up and turning us around given the issues we had. Could we have finished higher in those two full seasons? Possibly, but then again we could have finished higher this season or last season so really you can carry that on indefinitely. Things began to turn sour in his final season but I'm not sure how much of that can be pinned on Bowyer. Lets remember that by then he'd had Gestede and Cairney sold from underneath him, had been operating under a transfer embargo for several windows, was getting no funding from the owners and didn't even get to meet them in the summer of 2015. I also suspect the increasing involvement of Pasha from that point onwards played a part as he began to take more of an active role and its no coincidence that also around that time or shortly afterwards Bowyer allies in Shaw and Myers handed in their notice. I think Bowyer probably knew he was on borrowed time as Pasha wanted to assert his authority and bring in his own man (remember the rumours after the Brighton away game that he had been sacked?). Something was amiss from the summer of 2015 onwards. Mowbray is still in the phase Bowyer was in during his first 2 years - all good - owners who keep out of the way, send him money for transfers from time to time and don't interfere. If we make it through another couple of years like that then I might start to believe they've turned a corner but it wouldn't surprise me to see things unravel again the moment Madame begins to lose faith or starts taking her advice from different people. We're now hearing worrying comments from the manager about having to go to India again this summer to speak to them and 'find out' what their ambitions are. This after apparently agreeing on a long term vision at previous meetings and having a multi-window strategy, now he has to meet with them again to discover what they want to do and presumably seek approval for a transfer budget. After all, she lost faith in Bowyer or at least allowed someone else to sack him after everyone thought he would be secure after making them fortunes in sales. Why won't she do the same with Mowbray if we don't keep progressing or if she gets up on the wrong side of bed one day? I agree that Mowbray has that potentially crucial experience that a club like ours needs given the lack of know-how at ownership and boardroom level. A club of this size and stature with a vacuum of footballing know-how at most levels needs a proven pair of hands. If we want to go down the up and coming coach route then fine but we need to install the correct backroom and boardroom to enable that to happen. I think Bowyer did extremely well for us and for Blackpool and given time will do a good job for Bradford. I suppose he and Mowbray have had different opportunities in football management. 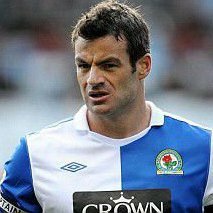 Mowbray had a reputation as a decent level player, Bowyer didn't. Mowbray went up to Scotland to get his management career going which Bowyer didn't. Bowyer took over a mess of a club here, Mowbray had a smoother ride with Hibs. 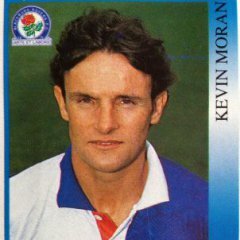 Mowbray got a good move to WBA in an era when British managers working in Scotland got moves to the top Championship clubs, which doesn't happen these days. Not the be all and end all, plenty of players have had great careers without being brilliant at heading. I'm surprised that Butterworth's burst into the box from within the centre circle and subsequent cross shot hasn't prompted more comment. Excellent balance, technique and no little confidence. Given the way Sheff U took Hull apart, that might be 15 or more when Leeds kick off. Getting a bit fed up of comparisons to PNE if i'm being honest, go speak to some of their diehards and they are still envious of the set up and budget we have at Rovers. They still think we buy our way out of trouble, 7 mill on BB, funding a Cat 1 Academy and our overall wage bill fuel that view and compared to them you can understand it so I think it's about time they got left out of the debates. We've only been below the Championship one season in about 7 years and I don't think they can say the same so over all who is the more Championship set up standard club ? We should be as good as if not better than them in the bigger picture, i'll be expecting we should be next season. Or a Wes Brown situation. There must be a decent stopper type centre half in the whole of western Europe with looking at guys who are looking for a last pay day. 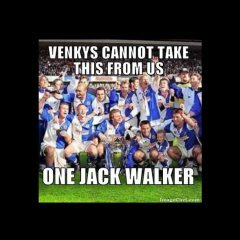 If Bowyer hadn't have been fired he would have relegated us in that season. Has a lot of what we need, but I'd seriously worry about lack of pace at his age. Could have another Gordon Greer situation on our hands. What we need is Lenihan mk II. Only trouble we have is finding one! I remarked on that after watching the " highlights " video before we signing him. Obviously he was in camera shot throughout a 7 or 8 minute long video yet he never headed the ball once. Pretty unusual for a striker even in todays football. 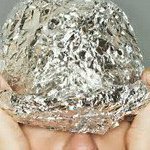 The only result of expressing opinions so obviously contradicted by data is the undermining of credibility.